The ball closure ring is one of the most popular pieces of body jewellery out there right now. They look awesome and come in all shapes and sizes: but there is a catch! People have a difficult time when it comes to opening and closing ball closure or segment rings when inserting them. The high pressure which keeps segments and beads in place is designed to prevent the jewellery from falling out, which means it is not so easy to simply pull it open and remove the jewellery. Some piercing studios use professional pliers or forceps, but these are generally too expensive for casual use. However, we have these forceps in our collection at much more affordable prices. The head of the plier just needs to be placed around the ball closure ring, and by using the handles to squeeze, the ring will pop open with ease, and the ball or segment can be popped in or out. You can find instructions on how to use them below. These durable brass forceps are suitable for any ball closure or segment rings of 16 mm or higher. 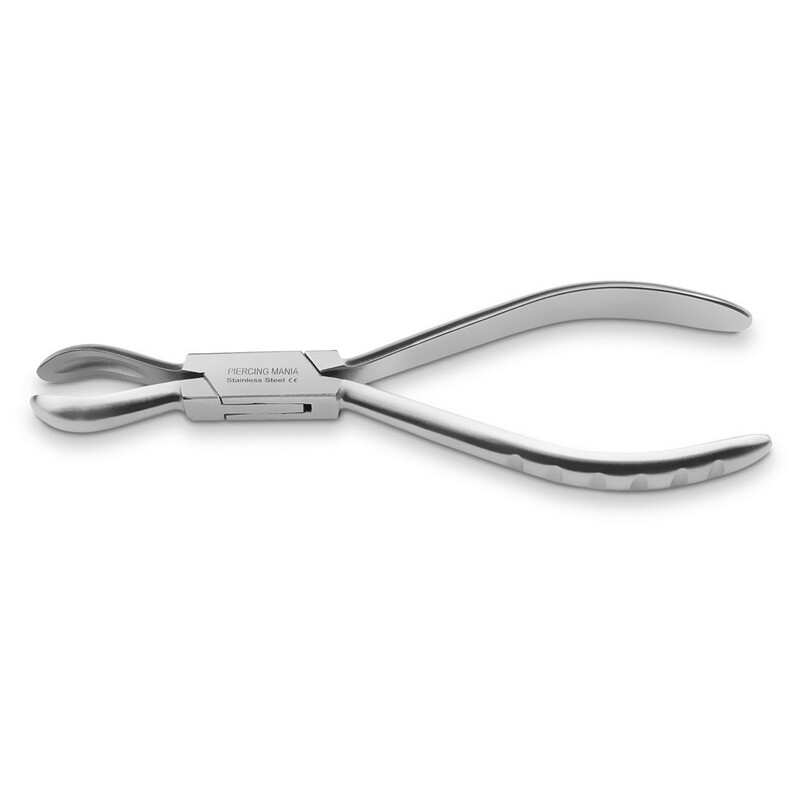 These pliers are very handy for ball closure or segment rings of 16 mm or more. It has a curved ‘mouth’ which is perfectly shaped to fit a ring into. Open the pliers mouth as wide as it needs to be to fit the ring, using the handles. Make sure the bead of the ball closure ring is in line with the opened ring, so that it will slot into place when closed. When the ball is in place, squeeze quite firmly, harder if they are above 16 mm as this will require some force. The ball should be fitted into place now and the ball closure ring should be fully closed.